Portrait of Samuel Milton Nabrit. Courtesy of the National Academy of Sciences. Image available on the Internet and included in accordance with Title 17 U.S.C. Section 107. NABRIT, SAMUEL MILTON (1905–2003). 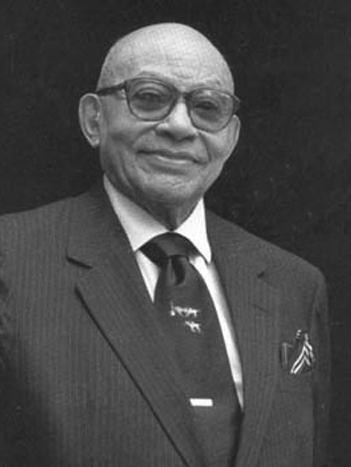 Samuel Milton Nabrit, academician, marine biologist, and second president of Texas Southern University (TSU), was born on February 21, 1905, in Macon, Georgia, to James M. Nabrit and Augusta G. West. He was one of eight children. After finishing his elementary and high school education (where he graduated as valedictorian), Nabrit received his B.S. degree from Morehouse College in 1925 and served as an instructor at his alma mater from 1925 to 1927 and a professor of biology at Morehouse from 1928 to 1931. During some summers he also studied at the University of Chicago. Subsequently he received the M.A. (1928) and Ph.D. (1932) degrees in biological sciences from Brown University. Nabrit became the first African American to receive a doctorate in the aforementioned field from Brown University. 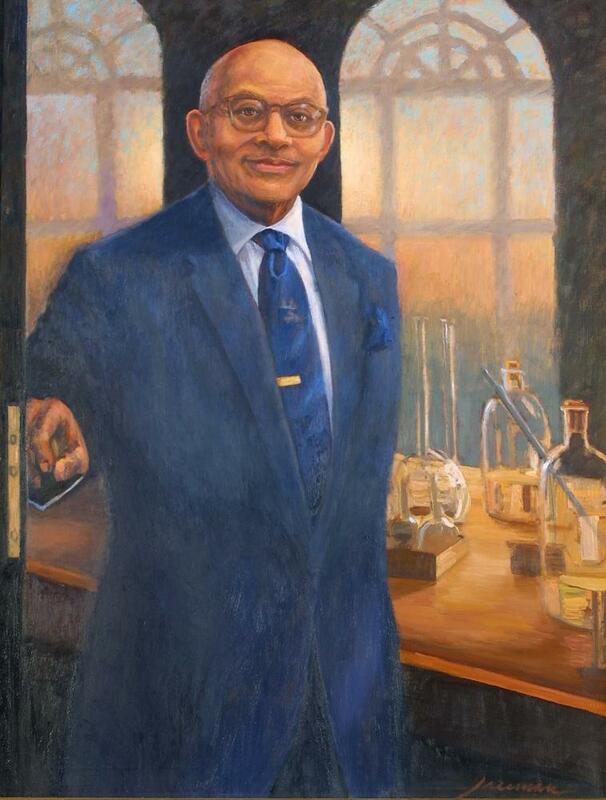 When Nabrit left Brown, he joined the Atlanta University faculty as the chairman of the biology department in 1932. He received much professional recognition for his doctoral research into the regeneration of the fins of injured fish—studies that he conducted at the Marine Biological Laboratory in Massachusetts—and he published a series of influential scientific articles about the research. Nabrit later became only the second African-American member of the Marine Biological Laboratory Corporation (1948). In 1947 he was appointed dean of the graduate school of arts and sciences at Atlanta University and served in that post until he became president of Texas Southern University. 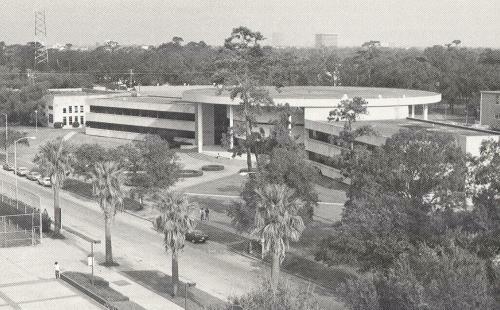 Photograph, Picture of the exterior of Texas Southern University. Courtesy of Black Past. Image available on the Internet and included in accordance with Title 17 U.S.C. Section 107. In 1955 Nabrit was selected as the second president of Texas Southern University. Under his eleven-year leadership, TSU more than tripled the number of doctor of philosophy degree holders on the faculty, increased the university’s enrollment by 50 percent, increased graduation rates, and balanced the budget. Additionally he increased the faculty and staff, and TSU became racially-integrated to an unprecedented extent, at one point reaching approximately 35 percent non-black instructors. Also during his tenure, TSU acquired a new science building, a new library, new dormitories, and a home economics lab. Equally important was the fact that at one point during the Nabrit era, TSU had thirteen federally-funded programs ranging from Operation Head Start to training teachers and school administrators in the problems and challenges involved in school desegregation. 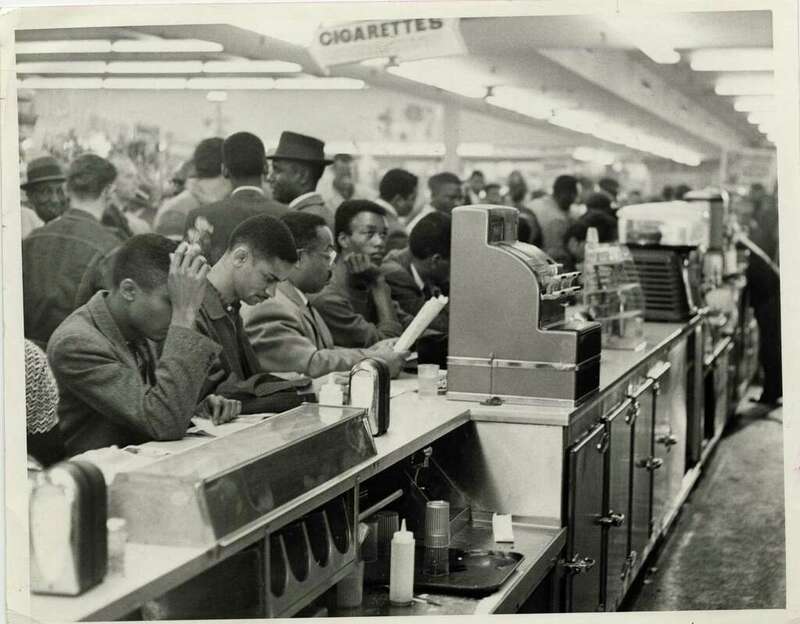 Members of the Progressive Youth Association, mostly TSU students, Protest at Weingarten's, 1960. Courtesy of the Houston Chronicle. Image available on the Internet and included in accordance with Title 17 U.S.C. Section 107. 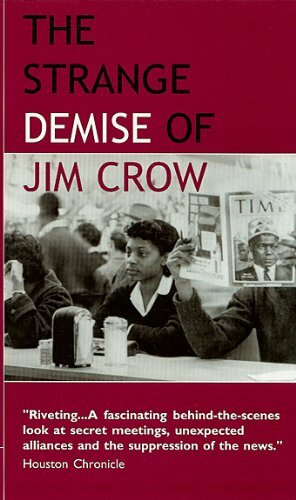 Thomas Cole's The Strange Demise of Jim Crow Book Cover. Image available on the Internet and included in accordance with Title 17 U.S.C. Section 107. Nabrit served as president of TSU during the height of the civil-rights movement. Unlike many other presidents of historically-black colleges and universities who found themselves in a quandary as to whether to support student demonstrations against racial segregation or keep the doors of their university open, Nabrit supported the TSU student demonstrations. Years later he recalled that during his tenure, no students were expelled from TSU for participation in civil rights demonstrations. He supported civil rights activists in part because he had a strong family connection to the legal struggle. His brother, civil rights attorney James Nabrit, was one of three lawyers who successfully argued the Brown v. Board of Education case before the United States Supreme Court in 1954. Samuel Nabrit’s role in the desegregation of Houston was later portrayed in the 1998 documentary film The Strange Demise of Jim Crow: How Houston Desegregated Its Public Accommodations, 1959–1963 by Thomas Cole. Painting, Portrait of Samuel M. Nabrit by Robert Freeman, oil on canvas, 1999. Courtesy of Brown University. Image available on the Internet and included in accordance with Title 17 U.S.C. Section 107. During his TSU presidency, Nabrit was named to President Dwight D. Eisenhower’s National Science Board (1956). In 1966 President Lyndon Johnson appointed him the first African American to serve on the Atomic Energy Commission. After he left TSU in 1966, Nabrit became the first black member of the Board of Trustees of Brown University in 1967. He served as executive director of the Southern Fellowship Fund in Atlanta from 1967 until his retirement in 1981. He held numerous professional memberships, including the American Society of Zoologists, National Association for Research in Science Teaching, Phi Beta Kappa, and the Institute of Medicine of the National Academy of Sciences. Brown University established the Nabrit Fellowship for minority graduate students in his honor in 1985. Samuel M. Nabrit, a Baptist, had married Constance Crocker on August 8, 1927; she preceded him in death. They had no children. The ninety-eight-year-old Nabrit died at his home in Atlanta, Georgia, on December 30, 2003. He was buried in Westview Cemetery in Atlanta. Atlanta Journal-Constitution, January 1, 2004. Howard Beeth and Cary D. Wintz, eds., Black Dixie: Afro-Texas History and Culture in Houston (College Station: Texas A&M University Press, 1992). Ira B. Bryant, Texas Southern University: Its Antecedents, Political Origins, and Future (Houston: Armstrong, 1975). Thomas R. Cole, No Color Is My Kind: The Life of Eldrewey Stearns and the Integration of Houston (Austin: University of Texas Press, 1997). Samuel M. Nabrit Papers, Charles F. Heartman Collection, Robert J. Terry Library, Texas Southern University, Houston. New York Times, January 6, 2004. Handbook of Texas Online, Merline Pitre, "NABRIT, SAMUEL MILTON," accessed April 23, 2019, http://www.tshaonline.org/handbook/online/articles/fna31. Uploaded on May 24, 2013. Modified on June 19, 2017. Published by the Texas State Historical Association.